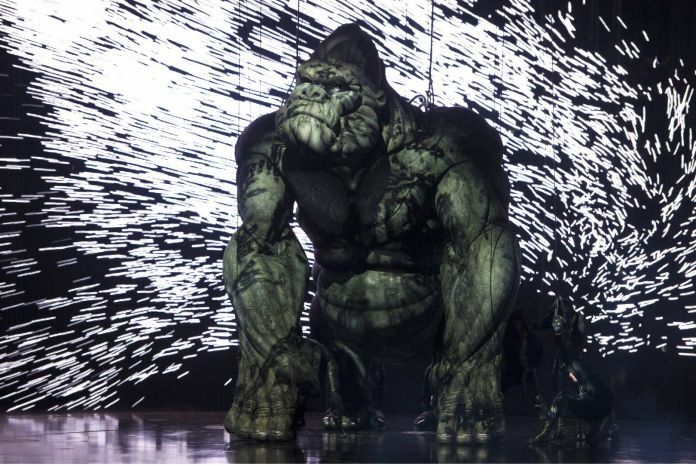 “King Kong” will open at the Broadway Theatre on Nov. 8, 2018, with previews beginning Oct. 5, 2018. The show is produced by Carmen Pavlovic of Global Creatures and Roy Furman. The story, based on the 1932 novel and written by Jack Thorne, follows Ann Darrow, a young actress, and filmmaker Carl Denham as they travel from New York to a mysterious island to capture a giant gorilla. Pitts is currently starring in “A Bronx Tale” on Broadway and Morris last starred as Sky in “Mamma Mia!” on Broadway. Neither actor starred in the previous production in Australia. The show’s score is by Marius de Vries with songs by Eddie Perfect. Drew McOnie will direct.